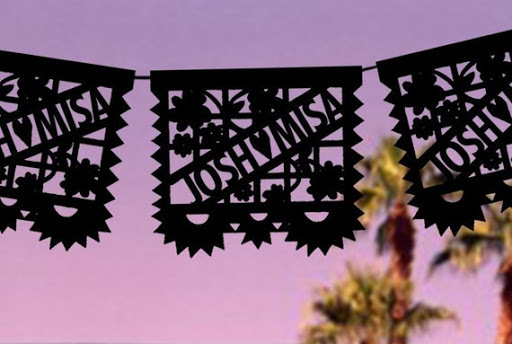 Check these out… Traditional Mexican laser cut tissue banners customized to read the bride & groom’s name and available in every color of the rainbow! A few strands of these would add an easy customized element to your rehearsal dinner or reception. Found here.